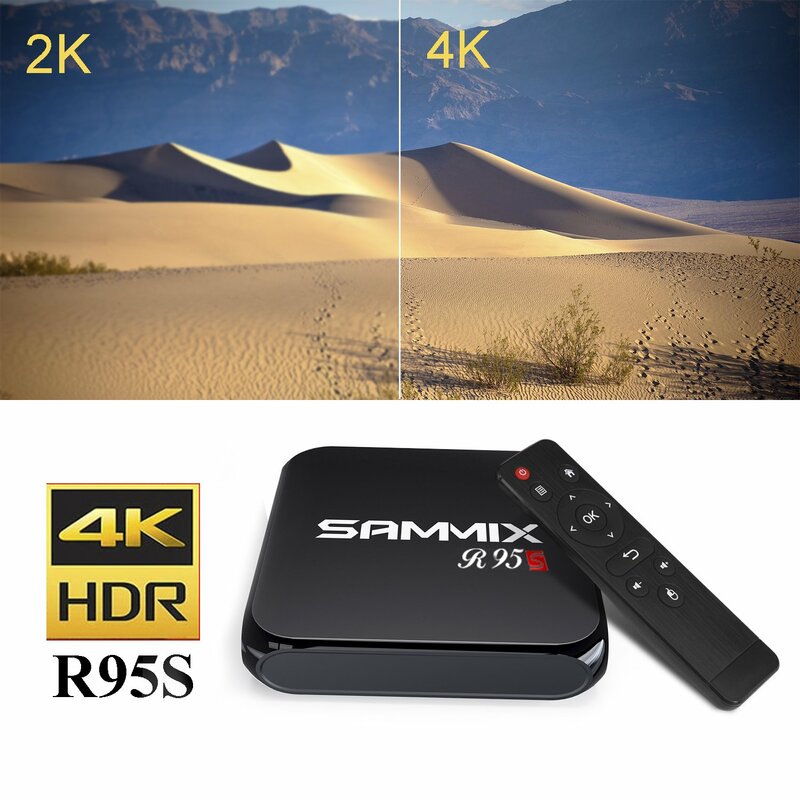 ✔Android6.0 : Sammix R95S Android 6.0 tv box is a smart Android TV Box with the lastest hardware, which you can use to enjoy your favorite movies. 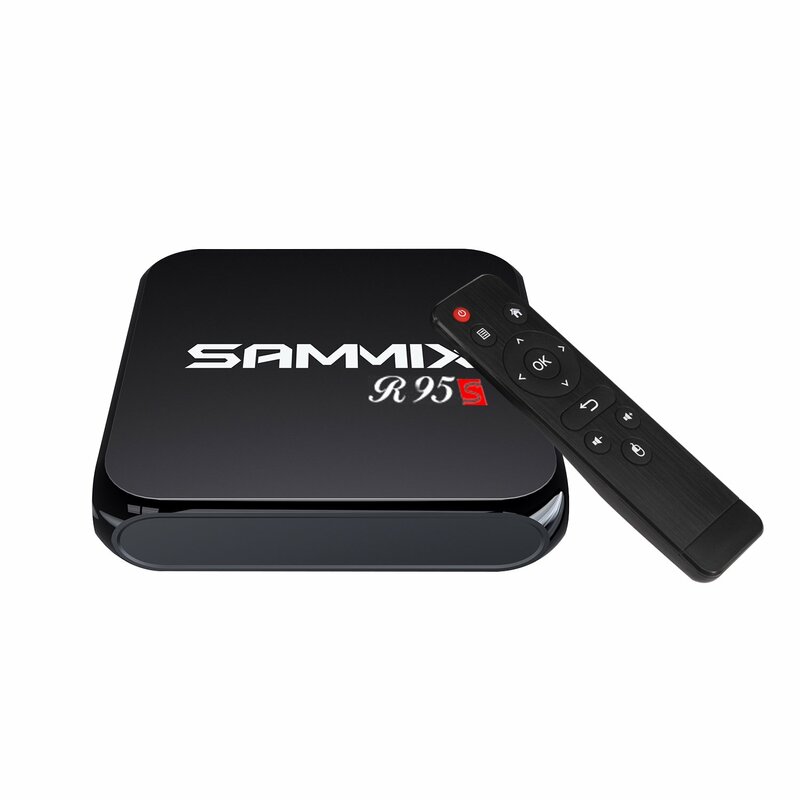 ✔Amlogic S905X Chipset & Quad Core Mali-450 CPU: Sammix R95S tv box Amlogic S905X Quad Cortex-A53 . 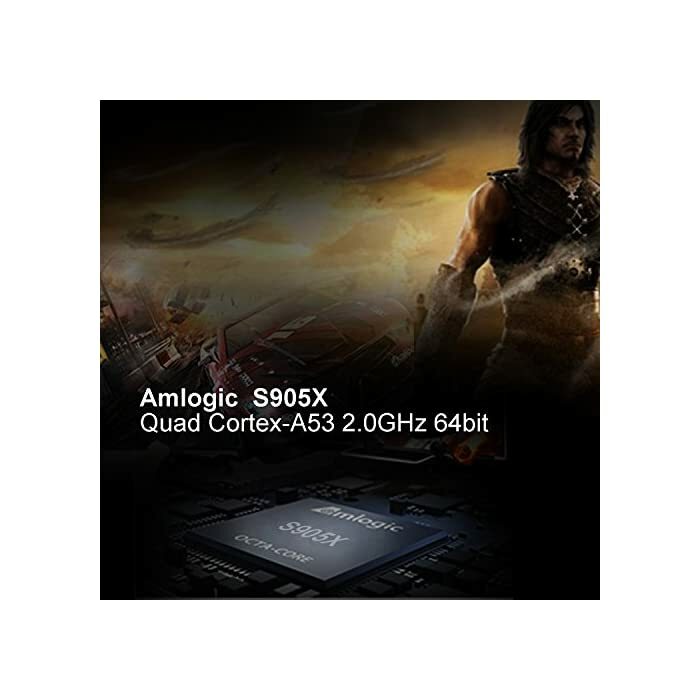 GPU: Quad Core Mali-450 . 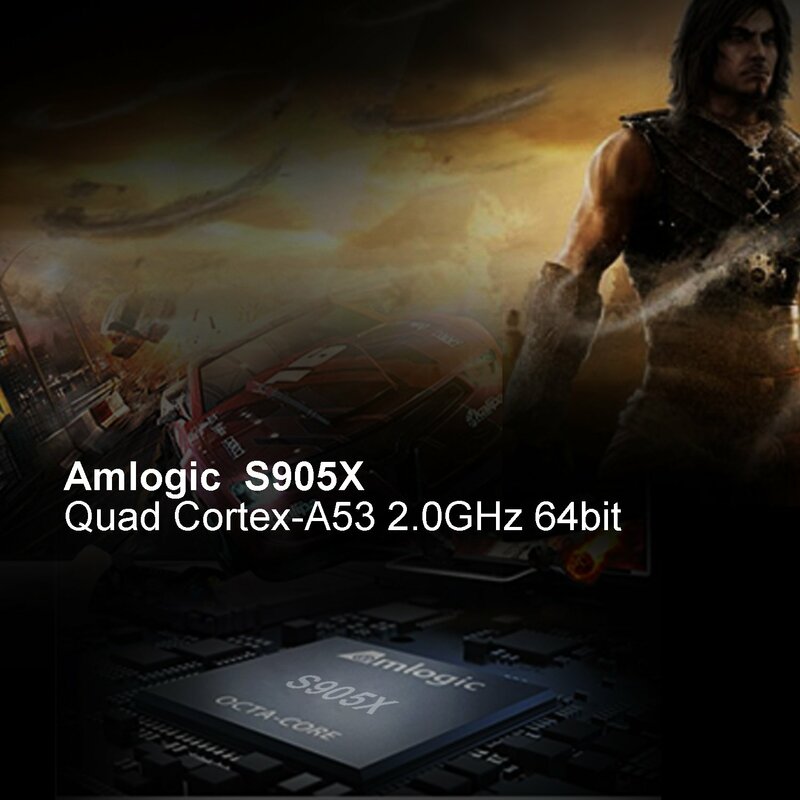 We would love to provide the the most professtional Quad Core CPU performance for Networking TV Box. 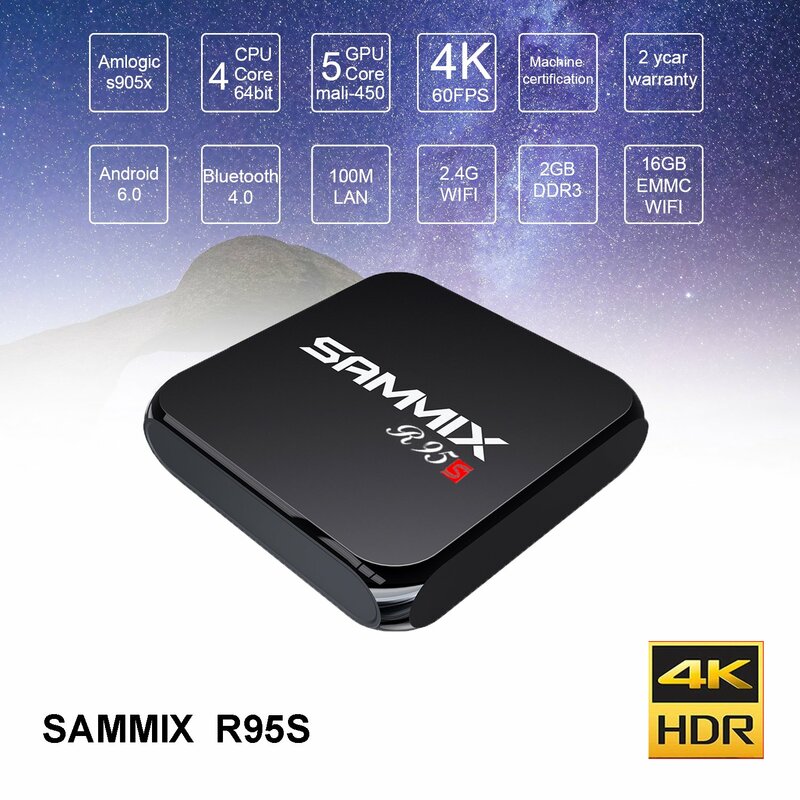 ✔ 2GB+16GB : the Sammix R95S tv box has 16G ROM Samsung EMMC+ 2G RAM (DDR3),EMMC ensure fast and stable operation. 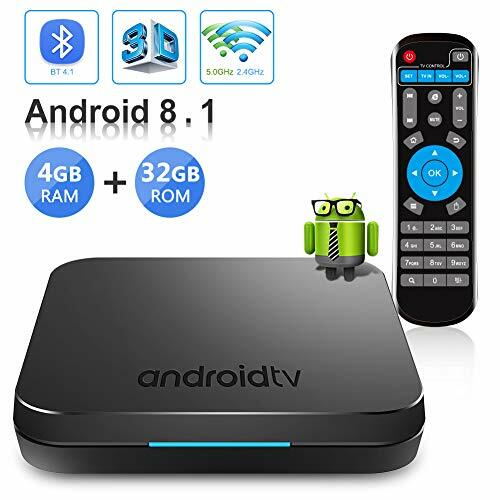 ◆Other feature : Free Internet searching,thousands of android applications,many kinds of games,etc. 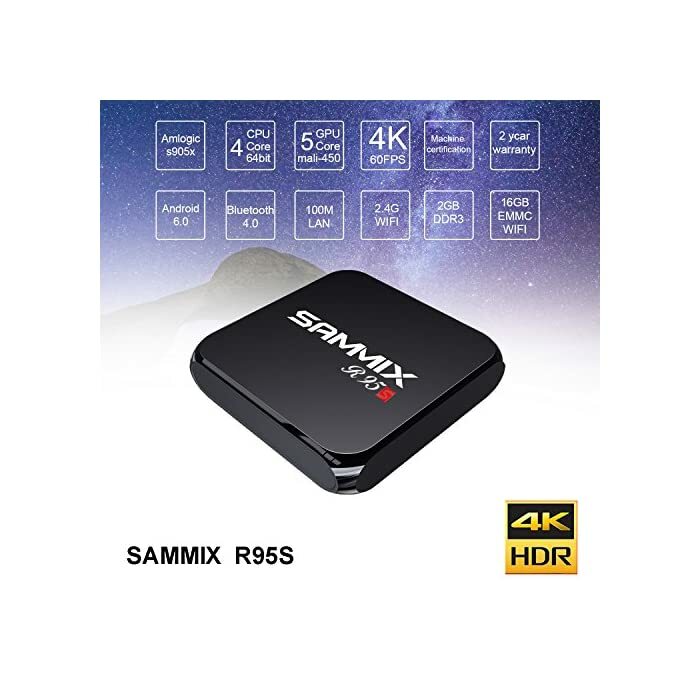 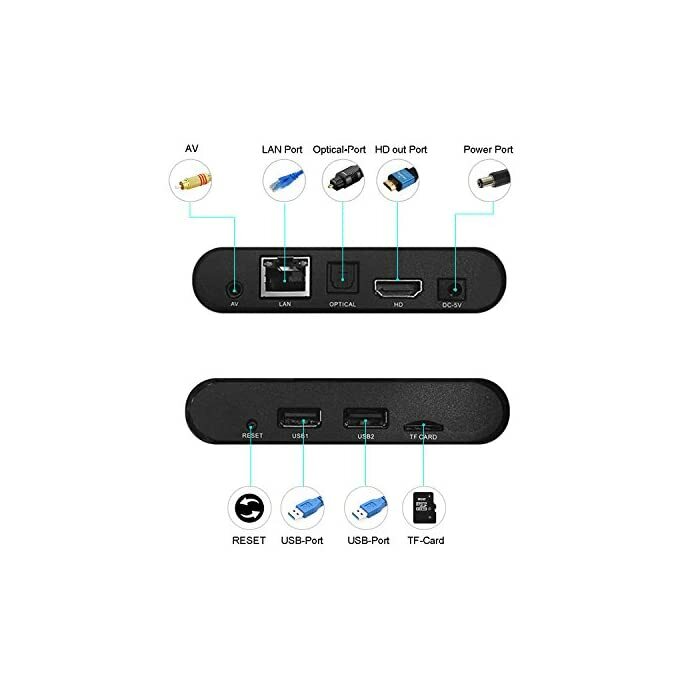 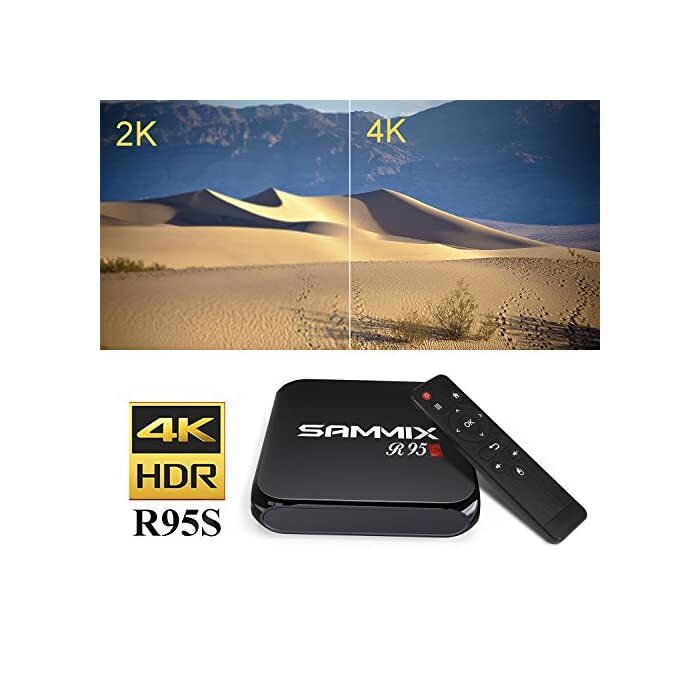 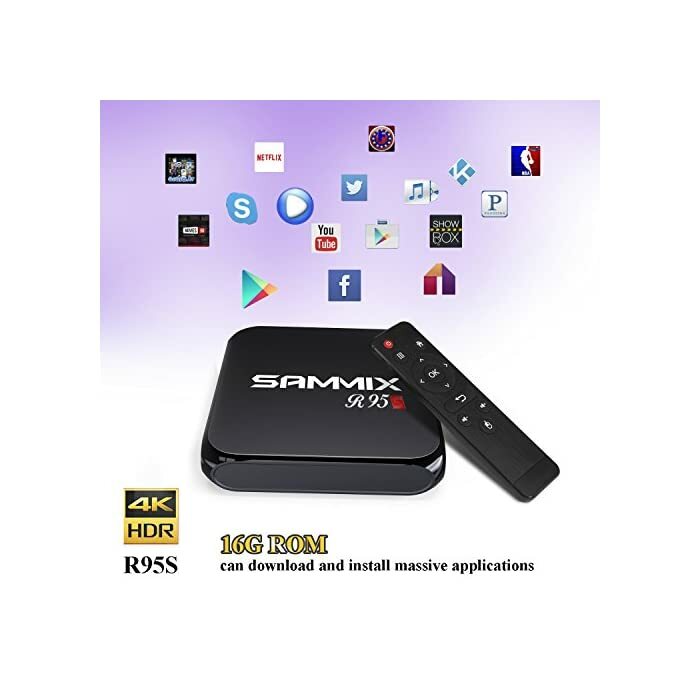 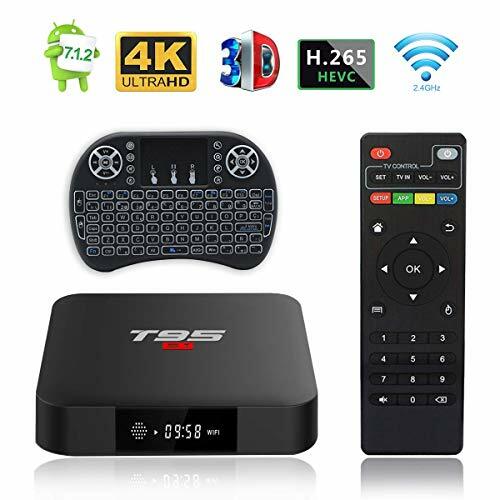 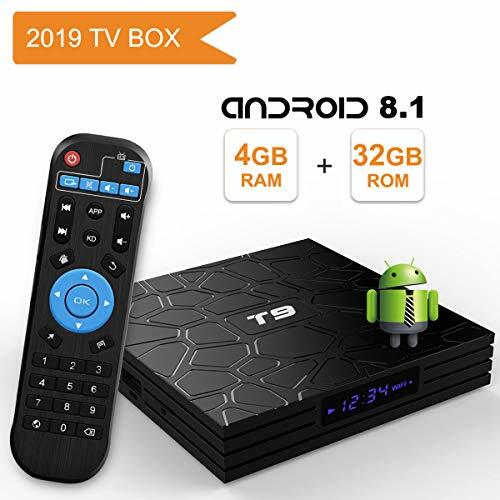 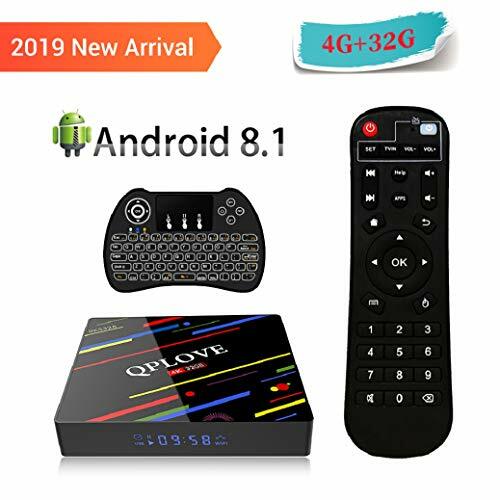 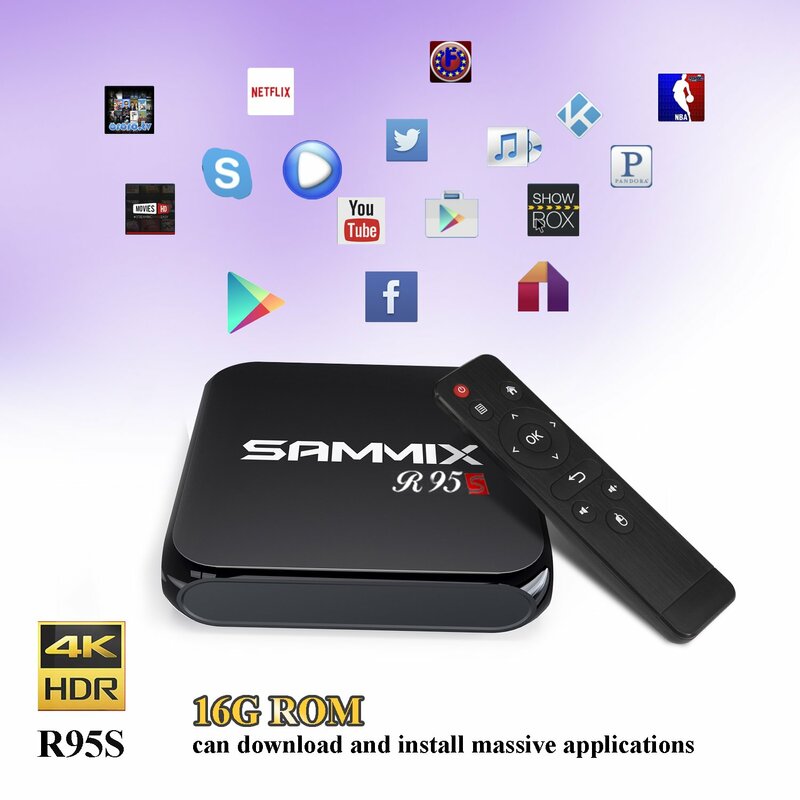 ✔ Wireless Support : Sammix R95S tv box Support Wifi connection, can download the apps onlines, watching video, playing games and so on. 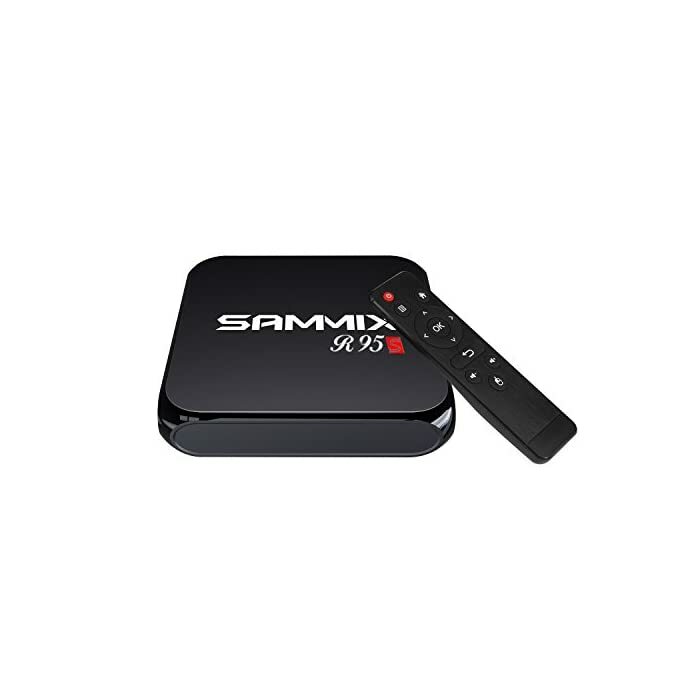 ✔Accessory & Sammix’s service : The Sammix tv box comes with HDMI Cuerda,Remote controller,Charger and User Asesor. 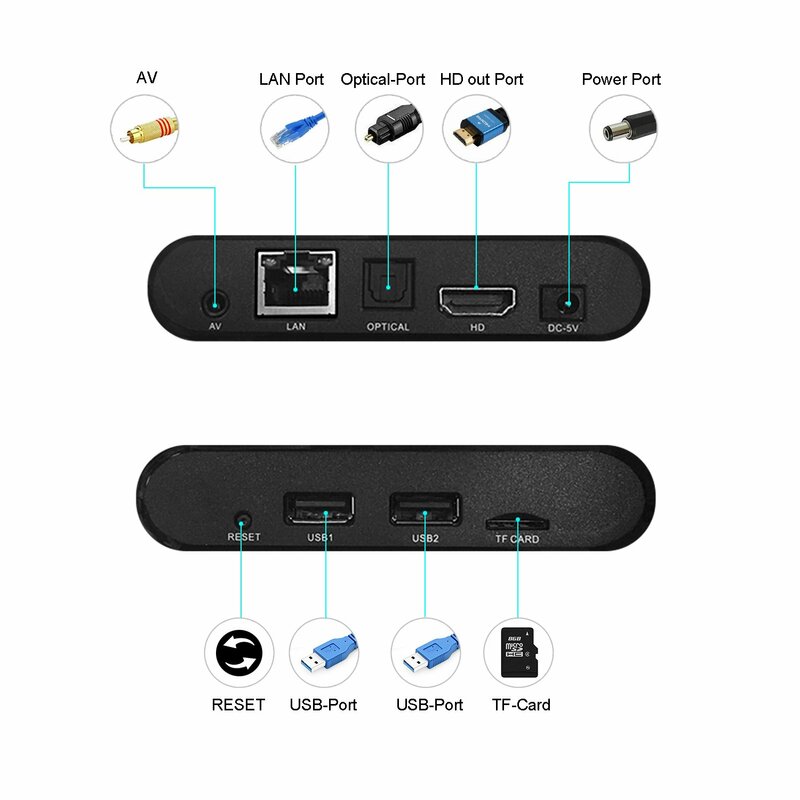 And We have one year warranty, please contact us immediately if there is any problem, we will do our best to help you.